Daniela "Dani" Parra Del Riego is a half-Colombian, half-Peruvian sophomore in the International Baccalaureate (IB) Academy. This is her first year in CavsConnect, and she is excited to dive into the world of journalism. Parra Del Riego is passionate about politics and International Relations, and she hopes to be able to integrate them into her writing when possible. She is involved in Model United Nations as the competition coordinator, Interact, International Baccalaureate Honor Society (IBHS), Student Activities, and hopes to join Speech and Debate and National Honor Society (NHS). 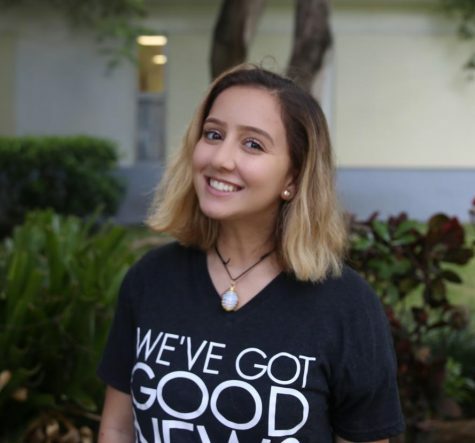 Outside of Gables, she devotes most of her time to volunteering at the Drama Club at Ponce De Leon Middle School, as she enjoys theatre. When not educating herself on current political situations or stressing over things to do, you can find her napping, cooking, scrolling through Pinterest and Instagram looking for outfit inspiration, or thinking philosophically about the complexities of life.